Be the first to share your favorite memory, photo or story of Nita. This memorial page is dedicated for family, friends and future generations to celebrate the life of their loved one. Nita Willene Saylor Brinkley Smith passed from this life to her final reward on April 5th, 2019, at Greene Acres Nursing Home in Paragould, where she had been since March 15th. Hospice had taken over her care three days prior to her passing. Nita (pronounced with a long “i”) was born in Pocahontas, Ark., on December 8th, 1924, to Fred and Ruth (Self) Saylor. She was part of an amazing family with a brother Tommy, sisters Dorothy Jane and Agnes, all of whom preceded her in death. Nita’s immediate and extended family moved to the Marmaduke area when she was a young girl. She attended Post Oak School and later Marmaduke School. She met and married Arlin Lee Brinkley and they had five sons, all currently living in Paragould. Larry (Melinda), Terry, Phil (Karen, long “a”), Randy (Kaylene) and Danny (Sally). Arlin and Nita married in December 1941, and lived happily until Arlin’s death in 1983. A second marriage to Emmett Smith in 1988 made her stepmom to Emmett Floyd (Jeanina) of Paragould and Emma Lou Smith Danner, who preceded Nita in death. •	Starting a public work career in 1970 as the manager of CRC bookstore, where she worked fulltime until 1988, and then later as needed. •	Through the years, she taught hundreds of children in Bible classes and others through World Bible School correspondence courses. •	She kept a dozen Words with Friends games going simultaneously and kept up with friends and family with Facebook. Besides her large extended family, Nita was survived by five sons, one stepson and one “same as” son, Rick Dickinson (Linda). Her grandchildren total 19, great grandchildren total 37, including 2 “on the way”, and she has 1 great-great granddaughter. Through her many blessed years, she garnered a host of friends and acquaintances who were as close as family. A celebration of Nita’s life and legacy will be at Center Hill Church of Christ in Paragould on Monday, April 8, 2019, beginning with visitation at 11 am. The service will begin at 1 pm, under the direction of Heath Funeral Home, with burial to follow at Harvey’s Chapel Cemetery in Marmaduke. Pallbearer duty will be handled by family members. The family would like to express their gratitude to the staff at Greene Acres Nursing Home and St. Bernards Hospice, as well as, AMMC Home Health care worker Lisa Blake for their care and special attention during the past few years. 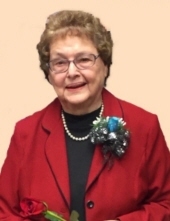 Nita, a member of Hillcrest Church of Christ, was a longtime supporter of Crowley’s Ridge Academy, Children’s Homes, Inc. and Crowley’s Ridge College. Memorials to any of these institutions would be appropriate. To send flowers or a remembrance gift to the family of Nita Willene Saylor Brinkley Smith, please visit our Tribute Store. "Email Address" would like to share the life celebration of Nita Willene Saylor Brinkley Smith. Click on the "link" to go to share a favorite memory or leave a condolence message for the family.